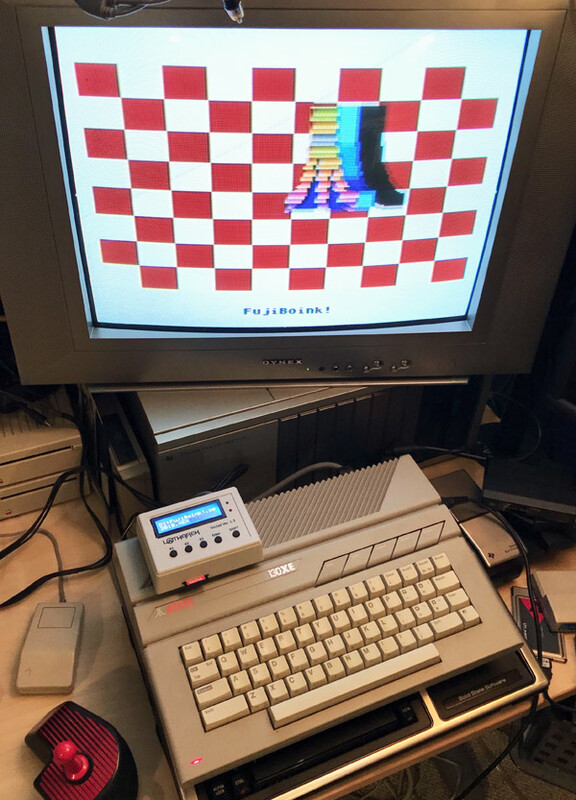 Recently, I’ve been playing with Atari 8-bit computers for the first time ever, really. I purchased a bundle including an 800XL and 130XE through eBay back in 2002 but I never really did anything with them. What with the recent emergence of inexpensive and functional flash-based floppy disk emulators, however, I decided to pull them off the shelf have some fun. With the purchase of Lotharek’s SIO2SD device, I was on my way. Using these machines took me back to my days as a member of the P.A.C.E. users group, the Peninsula Atari Computer Enthusiasts, based in Hampton, Virginia. I joined the group in 1986 after moving from an Apple IIe to an Atari 520ST system. The group consisted of users of both Atari’s new 16-bit ST line as well as the Atari 8-bits (or A8 systems). It was during one of the monthly meetings that I got my first chance to play around with a fully configured A8 system. One of the events that the club carried out was a raffle for a monochrome Atari 520ST system, in an effort to raise money to purchase a similar ST for a local school, the Gloria Dei Lutheran School that allowed our group to sometimes meet in its Atari computer lab. 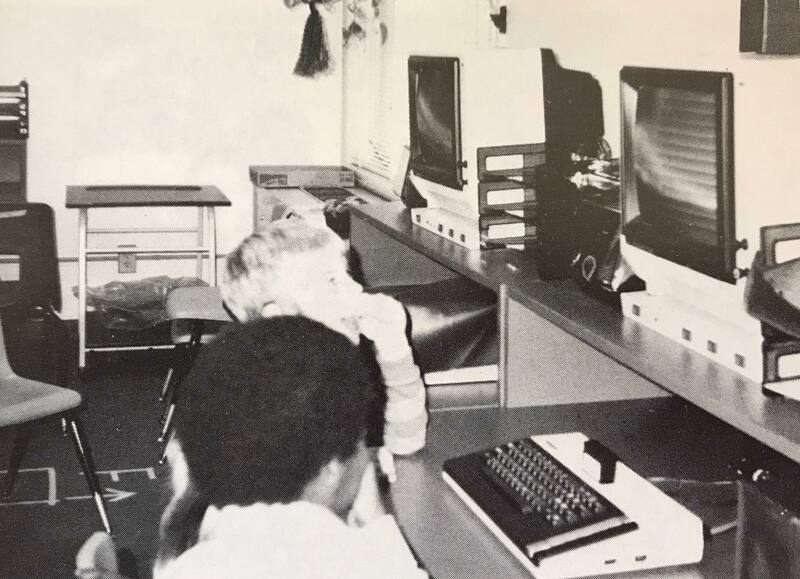 It was the first Atari lab I had encountered; the elementary school I attended, Seaford Elementary in York County, VA, had two Apple II systems, while my middle / high school, Hampton Roads Academy in Newport News, VA, started out with a few Commodore PETs, then opened full Apple II labs some years later. The lab at Gloria Dei, at that point, consisted entirely of A8 machines (well, until that successful fundraiser). Some were equipped with cassette decks, some with floppy drives. I went through a few disk boxes and loaded up this and that and just played around on the Ataris. Getting my first real taste of the A8s was a lot of fun and obviously memorable for me. 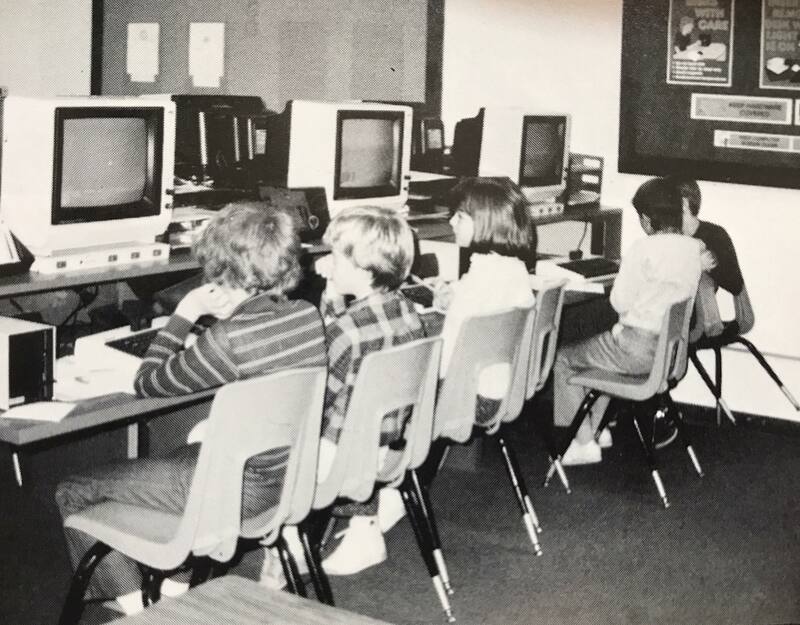 Thinking back on this, I reached out to the school through Facebook and asked if there’s any chance they could find a photograph of that Atari lab from way back when that I might use for a blog post, and I’m pleased to say that they did, as you can see here! I’m surprised to say that, in digging around on the web a bit in preparation of writing this post, I actually managed to find the issue of the P.A.C.E. 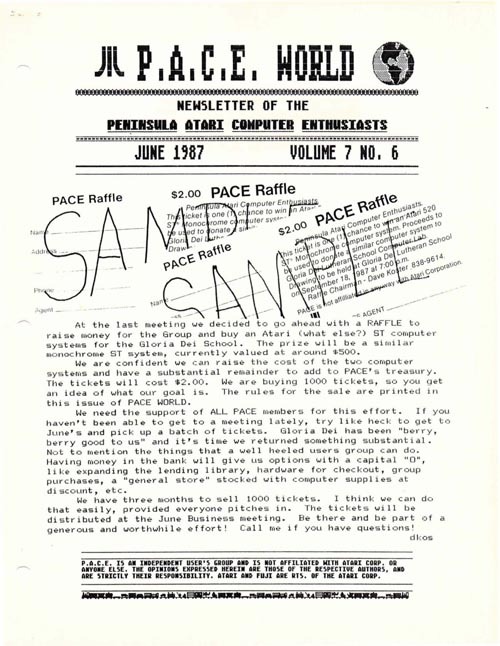 World newsletter [ PDF ], published monthly by the group, that describes the raffle event for Gloria Dei (thanks Internet Archive). It’s from June 1987 (vol. 7, no. 6) and, what’s more, on page page 8, yours truly is mentioned by name. This little exercise turned into more of a trip down memory lane than I had anticipated! Lovely. This entry was posted in Atari, Down Memory Lane. Bookmark the permalink. The A8 systems are truly my favorite. Some seminal games that were created on those systems: MULE, Seven Cities of Gold, Archon, Archon II, The Return of Heracles, Ali Baba and the 40 Thieves (although the best version of this, by far–the version on Age of Adventure EA rerelease–can not be found on the Internet, as it was never cracked). And there are some great homebrew games that continue to be released for it.